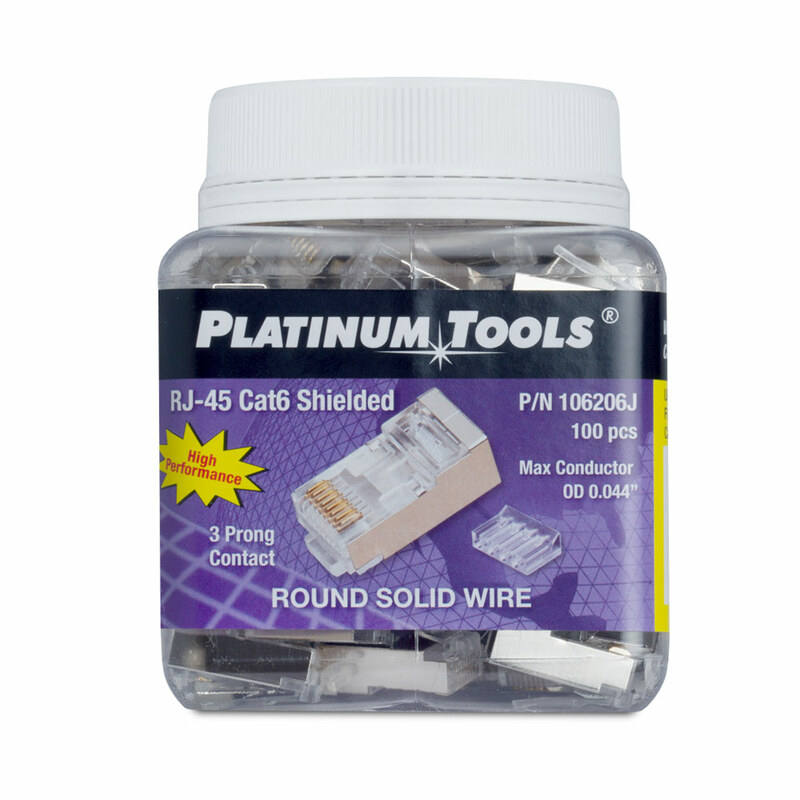 The Platinum Tools 106206J is an RJ45 (8P8C) shielded Cat6 2 pc. with liner. The standard modular round plugs have a traditional crimp WE/SS-style used in terminating cables in both telephone and data applications. The plugs have a 3 prong solid conductor contact while gold plated contacts provide reliable performance with a long life. 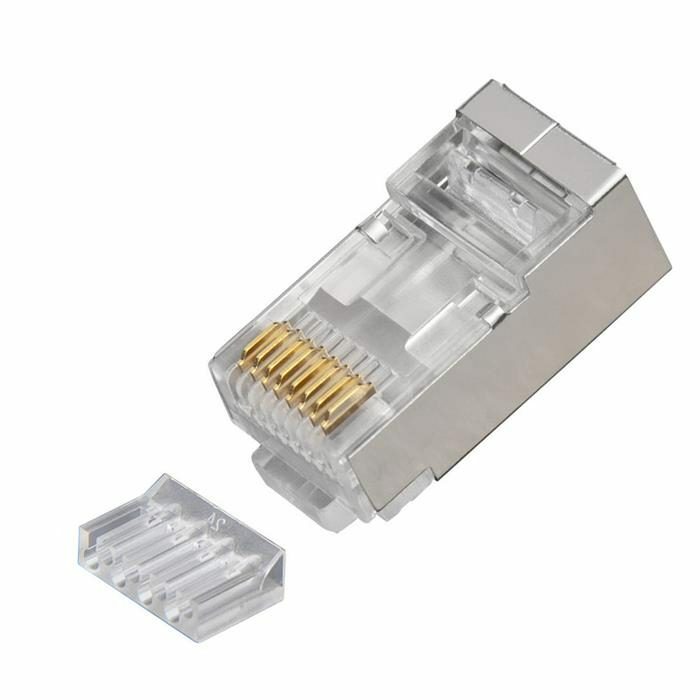 The plugs are UL listed and comply with FCC 68 guidelines. Platinum Tools, founded in 1997, was created based upon two very simple objectives. First, develop, manufacture and source the absolute best possible solutions for preparation, installation and hand termination of wire and cable. Second, implement an operational infrastructure that can deliver these products in an efficient, timely and high quality manner.